Crawford Technologies (CrawfordTech) has acquired ASE Technologies (ASE), a leading software developer and systems integrator in the Enterprise Content Management (ECM) market. Located in Boston, Massachusetts, ASE is the developer of Riptide Server, the preeminent output management software for ECM systems such as IBM FileNet P8, EMC Documentum and Microsoft SharePoint. Riptide allows ECM users to output documents of mixed formats to email, print, fax or dynamic link, eliminating the need for the originating applications. Riptide Server is fully integrated with CrawfordTech’s robust product suite. ASE’s experienced team brings over 18 years of ECM market proficiency to CrawfordTech. Their products and expertise in ECM migrations, print workflow processing and ECM output management perfectly complement CrawfordTech’s market-leading Enterprise Output Management product suites and the PRO Archiver solution for ECM systems such as EMC Documentum. “By combining ASE’s expertise in the ECM market with CrawfordTech’s best-in-class print-stream transforms, document re-engineering, workflow management products and customer support team, we will bring many new innovative solutions to our combined customer base,” said Ernie Crawford, President of Crawford Technologies. CrawfordTech plans to integrate ASE’s ECM loading technology for SharePoint into CrawfordTech’s PRO Archiver solution. Currently, PRO Archiver provides EMC Documentum users with the ability to integrate computer reports and transactional documents into EMC Documentum. In a fully utilized ECM implementation, 80% of the content comes from these documents. By adding ASE’s loading technology for additional ECM systems, both companies can combine forces and offer the best solutions for handling this major source of ECM content. ASE's technology isn’t limited to the archive market. ASE Conversion Services provides the ability to convert and merge MS Office files for any application. This added capability will be used to extend the CrawfordTech print-stream transformation and document re-engineering software families. “We see this as a great opportunity to take ASE and its software to the next level. With CrawfordTech’s marketing and sales expertise, worldwide partner network and great market reputation we can leverage new opportunities that were unobtainable in the past,” said Jay Baumgarten, President ASE Technologies. For more information on this acquisition, please email media(at)crawfordtech(dot)com or phone +1.866.679.0864. 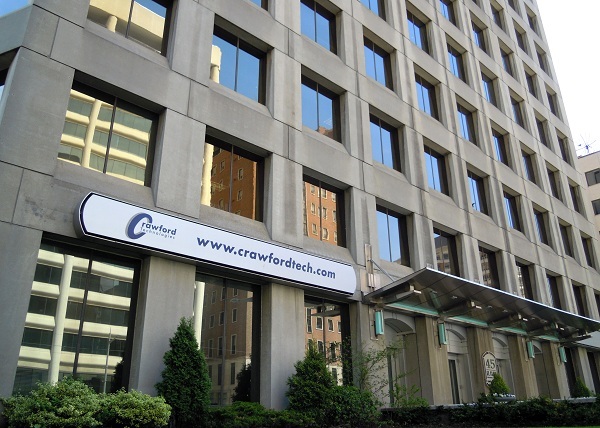 To learn more about all of our products and services, visit http://www.crawfordtech.com. Since 1995, Crawford Technologies’ award-winning solutions have helped over 700 companies around the world reduce costs associated with communications’ processes by delivering bills, statements and other mission-critical transactional communications to their customers in the format they need, when they need it. This includes alternate format documents in Braille, Large Print, Audio and E-text for visually impaired and print-disabled customers.